Self Storage Winnipeg - Best Storage Facility Near You in Winnipeg | All Points Self Storage Inc.
Self storage has never been easier when you rent your unit at All Points Self Storage. Our facility is located in southwest Winnipeg near Oak Bluff, Headingley, and Grande Pointe. We’re accessible from any community in the Winnipeg metro. You’ll find us at 178 Samborski Drive near Rolly’s Warehousing & Distribution and Sky Zone. Come visit us and let us help you choose the best storage unit for you! From the moment you secure a unit with All Points Self Storage, we are there for you. Providing the best in customer service and support means taking the needs of every client seriously. We know that you have choices when it comes to choosing a Winnipeg self storage company, so we strive to ensure you have access to the best terms as well as ongoing support. When you rent with us, no deposit is required. 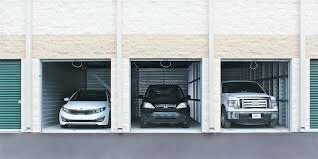 We offer easy payment options, a broad selection of units, and great security features. Once you learn more about our service and support, looking at other storage companies will be a waste of time. Let us help you provide you with the best storage in Winnipeg - contact us today and we’ll help you reserve your unit!